Sciblogs | What can AI do right now? The site categorises applications into 19 themes; from medical applications, professional applications (such as reviewing documents), through to gaming, lifestyle (movie recommendations), and other things (such as learning common decency). It is by no means complete. It doesn’t, for example, include Zach, the application described by John Pickering, that listens to medical conversations and produces summary notes. 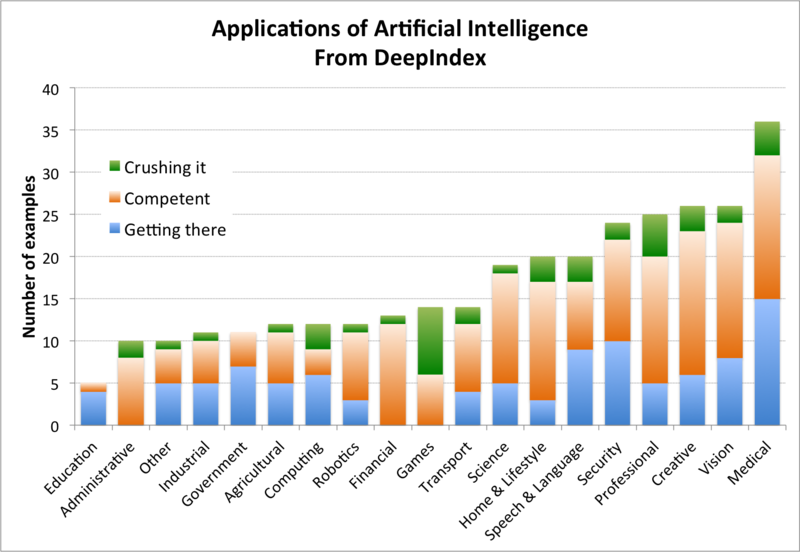 Still it provides a useful view of where and how successfully AI systems are being used. Instead of reading lists I’ve put the data into a chart to illustrate what’s going on. A lot of action is in the medical field, with many applications getting better at predicting and diagnosing conditions. Current AI systems are good at playing some games, but not in helping educators. And, far from revolutionising government AI has a lot more gliding on to do. You may also be relieved to know that super smart robots are still a work in progress. The “creative” category is somewhat misleading at this stage. Despite the level of development there isn’t much true creative expression going on yet. The more successful applications are those that can spot fakes, or mimic someone else’s creative endeavours. Expect improvements though. And we need to recognise the rapid progress that has been made with techniques such as deep learning over the last few years. 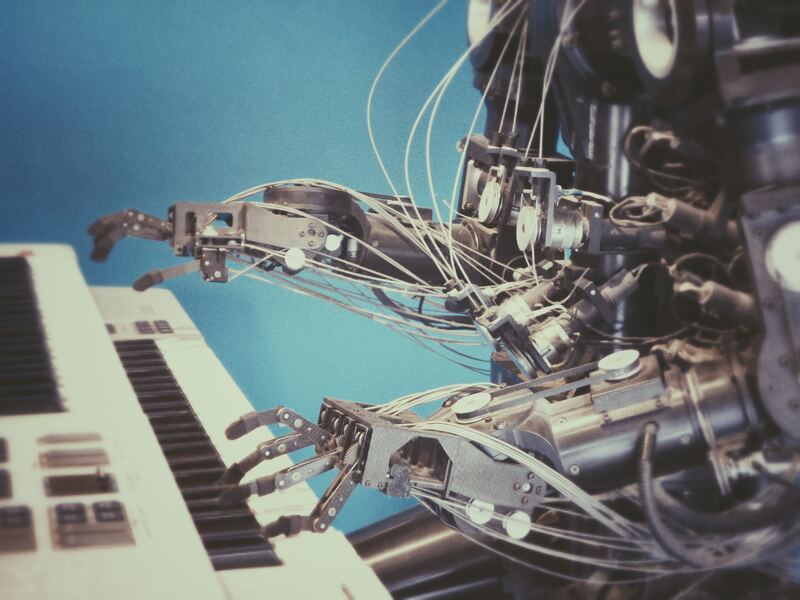 However, it is significant that both Geoffrey Hinton, one of the key figures in AI development, and another researcher, Gary Marcus, have recently noted that deep learning may be hitting a wall. New approaches will need to be developed to enable more sophisticated applications, and better handling of complex situations. So don’t expect a smooth progression of applications.